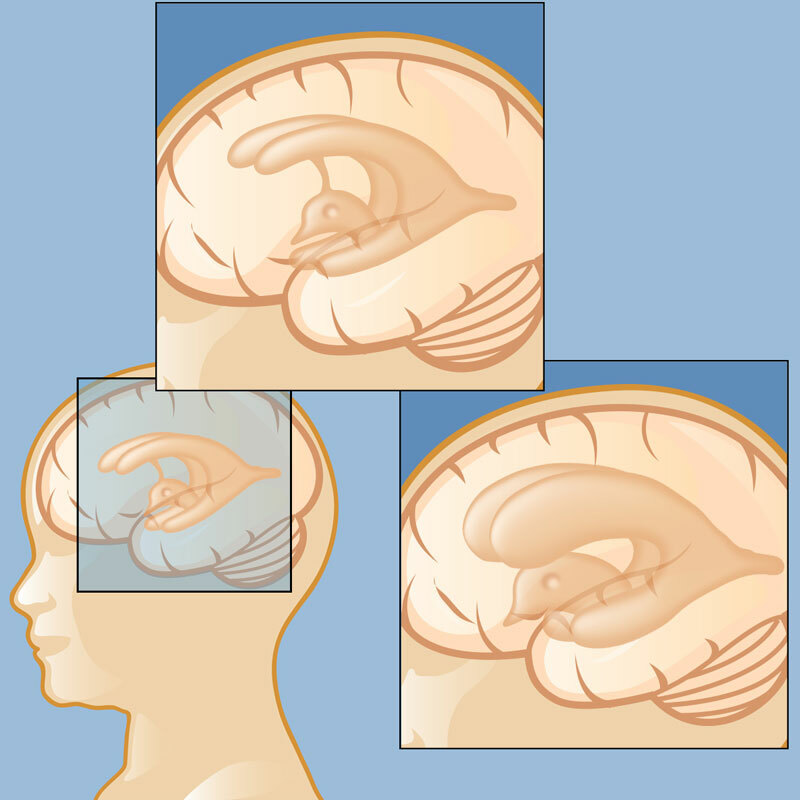 Hydrocephalus is a disturbance in the flow of cerebrospinal fluid (CSF), which is a clear fluid produced in the brain's ventricles (an interconnected series of cavities deep in the brain). CSF fills the areas in and around the brain and spinal cord to help support and cushion delicate structures. The fluid also plays a role in supplying nutrients, and clearing the brain of potentially harmful substances. Normally, CSF is created and then reabsorbed into the circulatory system. When there is an imbalance between the rates at which CSF is produced and reabsorbed (meaning that CSF is produced faster than it can be absorbed), or when there is a blockage that prevents the normal flow of CSF, the fluid builds up and increases the pressure inside the skull. This condition is known as hydrocephalus, and it is one of the most common reasons a child might have to see a neurosurgeon. 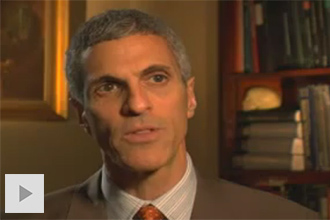 Non-communicating hydrocephalus, also called obstructive hydrocephalus, occurs when there is a blockage of CSF flow from the ventricles to the surfaces of the brain and spinal cord. Communicating hydrocephalus results from impaired reabsorption of CSF into the circulatory system. Normal pressure hydrocephalus, which normally affects older people, enlarges the brain’s ventricles (chambers) without increasing pressure in the brain.